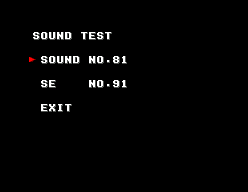 Enter SOUNDTESTAAAAAAA as your password to access the sound test. Enter CHAMPIONAAAAAAAA as your password. Then, start the game, and as soon as you cross the starting line, you'll see the ending.